The SMi Group is pleased to invite you to the Inaugural Cleanroom Technology Conference arranged to take place on the 9th and 10th October 2019, in London, UK. Aspects that encapsulate cleanroom technology and innovation remain one of the most exciting and rapidly advancing areas in manufacturing sectors to date. In 2025, the global cleanroom technology market is expected to reach nearly $5 billion. Stringent regulatory standards for product approval, technological advancements in cleanrooms, initiatives taken by private organisations to create awareness regarding cleanroom and growth of the healthcare sector globally, are among a few factors expected to drive the market. Pharmaceutical and biologics product development and manufacturing processes carry their progressive complexities, which consequently affect cleanliness requirements and outline of facilities. Compliance with the standards for product approval is very important and as a result manufacturing companies in various industries are dependent on cleanroom technology. Join us along with key opinion leaders from all areas of pharmaceuticals, biologicals, and cleanroom industry experts to explore hot topics within cleanroom design and engineering, best practices and regulation, environmental and contamination control, and pharmaceutical microbiology. Koos has more than 33 years’ experience in contamination control. As applied physicist he developed various processes and facilities for printing devices at R&D of Océ Technologies (a Canon Company). Further he is product manager Cleanrooms at Brookhuis Applied Data Intelligence and active in education and standards for cleanroom technology. He is an executive board member of ICCCS (International Confederation of Contamination Control Societies), CTCB-I (Internationa Cleanroom Testing and Certification Board) and VCCN (Contamination Control Society of the Netherlands). He is convenor, delegate and expert in ISO TC209 and CEN TC243 and the development of the ISO 14644 and ISO 14698 standards. He wrote various papers on the determination of requirements of cleanrooms, operational procedures and monitoring surface contamination. As strategic advisor Eric Stuiver has over 30 years’ experience in the design, realization and operation of high tech research and production facilities in The Netherlands, Taiwan, Singapore, Germany, Russia, Spain and China. Driven by his strong analytical and conceptual skills, Eric is an expert in the development of technological and production requirements into building and installation concepts. Eric Stuiver manages the International Clean Technology Practice at Deerns and is chairman of the Dutch Association Contamination Control, VCCN. • What keeps pushing contamination control? Pier Angelo Galligani, mechanical engineer, is Partner and Technical Director at Techniconsult, an engineering company based in Florence active in the life-science field. During the past 30 years Pier Angelo has got a deep experience in pharmaceutical processes and plants, clean systems engineering , HVAC applications, contamination control and validation. He is Member of the UNI working group on Clean Rooms Technology. He is Past-President & member of the Board of ASCCA (Italian Clean Rooms Society). He is the Italian delegate in ISO/TC 209 - Working Group 13: Energy Saving for Cleanrooms. Steve has a Masters’ degree in Business Administration and has joined DuPont in 1995. After having held various positions within the company, he is currently the EMEA Training Manager and critical environments marketing and specialist for DuPont Personal Protection, the chemical protective garments business that Steve has been working for since 2003. In his current role, Steve is providing training sessions on the selection and safe handling of chemical protective garments used in, amongst others, pharmaceutical production and GMP grade B, C and D cleanroom operations as well as giving technical support to health and safety specialists. Conor Murray has over 30 years’ experience in design and construction of cleanrooms and biosafety labs, and since 2007 independently in an oversight and auditing role. Conor represents the National Standards Authority of Ireland (NSAI), as Head of Delegation and SME at ISO TC 209 on cleanroom standardisation. Conor is Convenor of WG-05 in CEN TC243 and advises the Irish Health Service. Conor is Chairman of the Irish Cleanrooms Society (ICS) and a past Chairman of the International Confederation of Contamination Control Societies, (ICCCS). Conor lectures internationally and gives cleanroom training and education courses on behalf of the ICS. • Are operators needed in the future and to what extent? • Open systems, RABS, isolators or closed process system? • Operators in cleanrooms – Future problems or … ? Siobhan Murphy is the European Regulatory Specialist for Contec Inc, responsible for providing regulatory and technical support for Contec’s contamination control products, throughout Europe and Asia. Based in the UK, Siobhan has over 10 years experience of working in the area of biocides regulatory compliance. Before joining Contec as a Regulatory Specialist she worked for 8 years as a Senior Regulatory Scientist at a UK-based consultancy. Siobhan's projects have included preparation and submission of a number of biocidal active substance dossiers, biocidal product authorisation dossiers, as well as REACH lead registration work. Siobhan is an expert in the IT tools required for biocides submissions in the EU, including IUCLID and R4BP. Born in Germany, Alexander completed his PhD thesis in Microbiology in 2001. After moving to Sweden, he started working for Fresenius Kabi sterile international manufacturing plant in Uppsala. Throughout the years Alexander has been holding different management positions for the Swedish manufacturing plants within QA/QC and as QP. Starting 2012 he had responsibility as a Global Operations QA head, with regional QA and plant QA functions reporting to him. In his current position as VP Competence Center Microbiology & Aseptic Technique he has built a group of subject matter experts working with all manufacturing and compounding sites, setting global standards. Alana was born in Brazil and studied Biology at Federal University of Rio Grande do Sul. She then moved to Germany and obtained a PhD from University of Aachen, where she also conducted postdoctoral studies. Her research was focused in Microbiology and Molecular Biology of fungi. She has been working as a Manager in Microbiology & Aseptic Technique at Fresenius Kabi since February 2017, supporting the production and compounding sites around the world. • Rationale for development of an Aseptic Containment strategy (ACS) to sit alongside the Annex 1 Contamination control strategy CCS required for sterile medicinal product manufacture. • Aseptic-Containment risk characterisation and risk control containment levels at Health based exposure levels. 9:50 Cleanroom Cost, Quality, Environmental Sustainability – can I afford to compromise? A chartered engineer and chartered energy manager with 18+ years’ experience in the pharmaceutical industry. Keith and his team use their technical expertise to help clients such as GSK, AstraZeneca and Pfizer, apply best practice and innovation to reduce energy cost and improve safety and quality compliance. As a leading practitioner in his field, Keith is a member of ISPE’s global HVAC Sustainability Steering Group and ISO TC209 committee responsible for ISO14644 (Cleanrooms and associated controlled environments) contributing to the development of standards, training and code of practice guidelines in the discipline. Keith is the Co-Chair of ISPE HVAC/Sustainability CoP. • The business case to support action – illustrated with case studies. • Is the organisational structure important? • How can we use interface agreements for HVAC? • Ensuring flexible and simple validation. 11:40 Case study: What happened in China with the contaminated WFI system? Christoph Hansy has about 13 years of experience in the pharmaceutical industry. He is currently member of the Global Microbiology Team at Takeda and based in Vienna, Austria. In his current role he provides subject matter expertise as well as technical leadership on microbiological matters, such as method related projects, microbial control strategies, and contamination/investigation support in a global role. During his career he has undergone several company integration programs and was therefore able to gather multiple insights in different contamination/microbiological control strategies. Since 2017 he is involved in the development, implementation and sustain phases of a global contamination control program. Christine Arbesser-Rastburg has 35 years – 26 years in the pharmaceutical industry – of experience in the field of microbiology. She is currently leading the Global Microbiology Department at Takeda. Christine has extensive expertise in microbiological test methods (including mycoplasma testing), contamination control and trouble-shooting, cleanroom management, critical systems, aseptic processes, training in microbiology, hygiene, and aseptic/cleanroom behavior, auditing and inspection assistance. Over the years she has also gained substantial experience regarding the interaction between equipment and cleanroom design and contamination control. Together with her team she provides technical guidance, requirements, and support to the Takeda network. Joe is a Technical Service Specialist with STERIS Life Sciences. He specializes in microbial control, environmental monitoring, contamination investigations and cleanroom issues. Joe has over 20 years of experience in the biopharmaceutical and medical device industries, specializing in aseptic processing, cleanroom qualification, environmental monitoring, and risk management. He is based in South Carolina USA and provides global technical support and expert consultation services for Critical Environments. Joe is an invited conference speaker on pharmaceutical microbiology topics at Pharmaceutical Microbiology Forum (PMF), PDA, A3P Belgium, ISCC, and is a course instructor at PDA, Ireland’s National Institute for Bioprocess Research & Training, and the University of Tennessee Health Science Center’s Aseptic Processing Training course. He is a vetted member of the US FDA’s Network of Experts program, voting member of US Technical Advisory Group to ISO Technical Committee 209 (Cleanrooms and Associated Controlled Environments), an ASQ certified Six Sigma Green Belt, and is one of only a handful of professional microbiologists worldwide to attain the American Society for Microbiology (ASM) certification as a Specialist Microbiologist in Pharmaceutical and Medical Device Microbiology. Isabelle Tovena Pecault was graduated from Polytech Montpellier as an engineer in materials science. She obtained her PhD in materials science in 1995 and her authorization to direct research in chemistry in 2009. At CEA, the French atomic and alternative energies agency, she has been working for 10 years on the long term behaviour of nuclear waste and then for 16 years in the Laser Mega Joule facility as the cleanliness manager. She was involved in the international standardization on cleanrooms and controlled environment (ISO, CEN, AFNOR). She has written two books, 10 patents and more than 100 of papers and communications. She is now in charge with the international collaboration and innovation in the competitiveness cluster: ALPHA-RLH. Contec is a leading manufacturer of contamination control products for critical cleaning in pharmaceutical manufacturing environments worldwide. Contec’s cleanroom wipes, mops and disinfectants are used across the globe in biotechnology, pharmaceutical, medical device and other critical life science institutions. Contec’s extensive product line for cleanrooms and critical environments includes: • Sterile and Filtered 70% Alcohols. • Sterile and Filtered Disinfectants, • Mopping Systems and Cleaning Tools, • Pre-saturated Wipes, • Knitted and Non-woven Dry Wipes, • Spill Control Products, Sponges and Swabs. 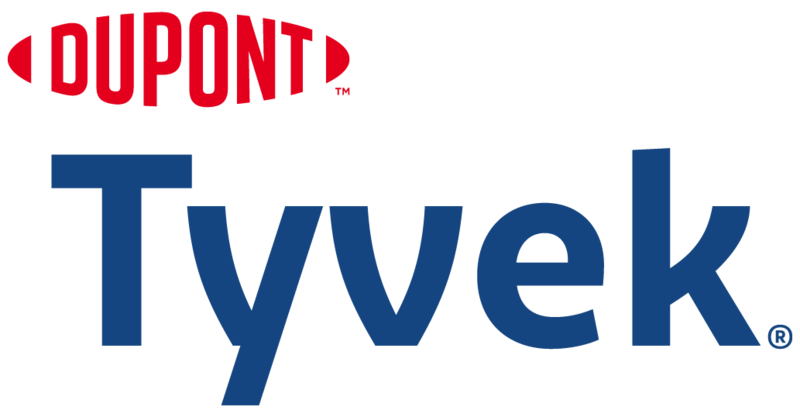 DuPont Personal Protection (www.ipp.dupont.com) uses the experience of DuPont as one of the safest companies in the world, its recognized scientific and technological expertise and its knowledge of key markets to source solutions to protect people, products, businesses and the environment. About DowDuPont Specialty Products Division DowDuPont Specialty Products, a division of DowDuPont (NYSE: DWDP), is a global innovation leader with technology-based materials, ingredients and solutions that help transform industries and everyday life. Our employees apply diverse science and expertise to help customers advance their best ideas and deliver essential innovations in key markets including electronics, transportation, building and construction, health and wellness, food and worker safety. DowDuPont intends to separate the Specialty Products Division, which will be called DuPont, into an independent, publicly traded company. More information can be found at www.dow-dupont.com. 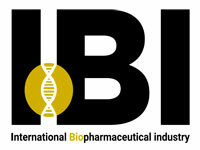 View details IBI - International Biopharmaceutical Industry Official Media Partner http://www.biopharmaceuticalmedia.com IBI - International Biopharmaceutical Industry, provides the biopharmaceutical industry with comprehensive coverage of key scientific, technology, regulatory and business topics. 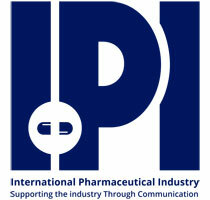 The editorial mix of peer-reviewed papers, practical advice on managing bioprocessing and technology, regulatory and business columns, and expert commentary provides comprehensive coverage of upstream and downstream processing, manufacturing operations, regulations, formulation, scale-up/technology transfer, drug delivery, analytical testing and more. The insight and analysis covers biologic – based therapies including We will report on emerging trends, strategies and best practices in the key areas. View details Colorado Bioscience Supporters http://www.cobioscience.com/ As champions for life science in our state, Colorado BioScience Association leads expansion policies to advance the industry and accelerate growth. We support a thriving bioscience sector by connecting innovators to funding, infrastructure, research and talent. CBSA fosters bioscience workforce and leadership development through opportunities for networking and professional education. As champions for life science in our state, Colorado BioScience Association leads expansion policies to advance the industry and accelerate growth. We support a thriving bioscience sector by connecting innovators to funding, infrastructure, research and talent. CBSA fosters bioscience workforce and leadership development through opportunities for networking and professional education.